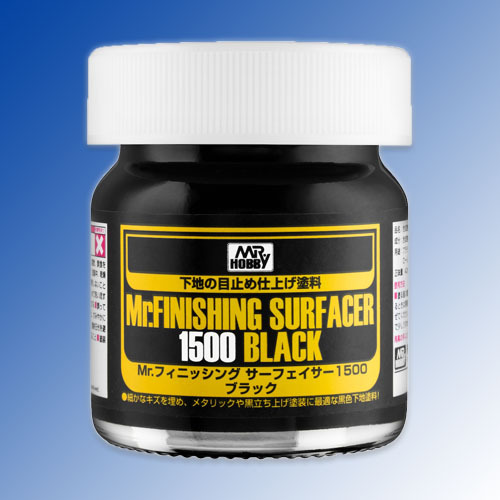 Mr Finishing Surfacer 1500 Black - black primer micro filler. Can be diluted with either Mr Thinner or Mr Levelling Thinner. Once diluted for best results apply with an airbrush. Covers minor scratches and surface imperfections. Dries quickly for an ultra smooth finish which once dry can be sanded and polished further if needed. Can be applied in multiple layers as needed for that perfect finish.